A couple of special Munchkin cards from Linucon . . .
"Heart of the Anomaly" was given to every Linucon attendee. 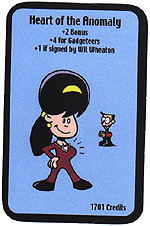 Many of them got theirs signed by Wil, for the extra bonus. I have one of those, too, but I didn't scan it . . . get your OWN signature, munchkins. 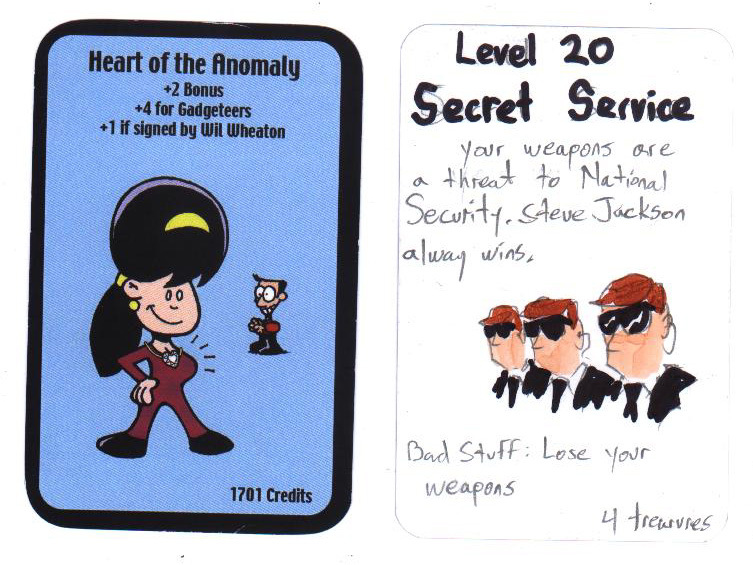 "Secret Service" was a one-off card created by Howard Tayler for the Celebrity Munchkin game. I got to take it home, woo hoo. There were others, including "William F'ing Shatner." If you follow wilwheaton.net, or have read Wil's books, that will make more sense to you. 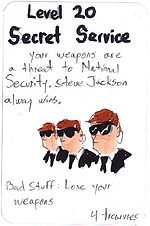 But "Secret Service" is MINE, and may find its way into games that I play in the future . . .